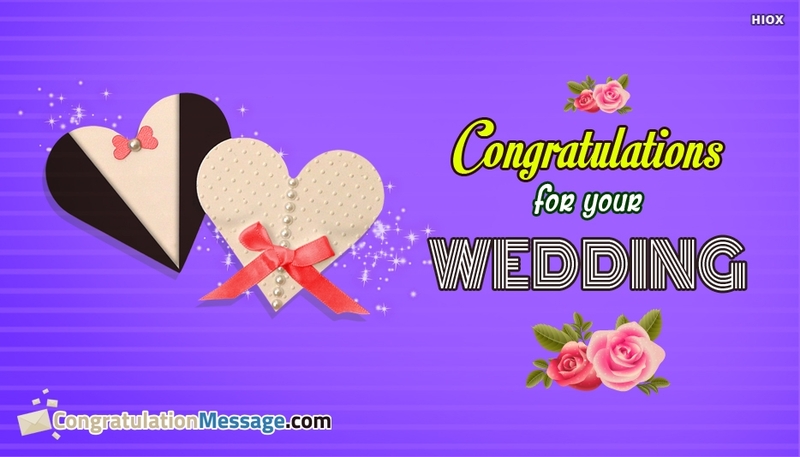 Wish the newly married couple with this "Congratulations For Your Wedding" image. Marrying a person is not just a ritual, but its a promise for the togetherness and friendliness on each other throughout the life. Wishing them on the start of their new life would create them happiness and blissfulness. Share your wishes and make them happy.